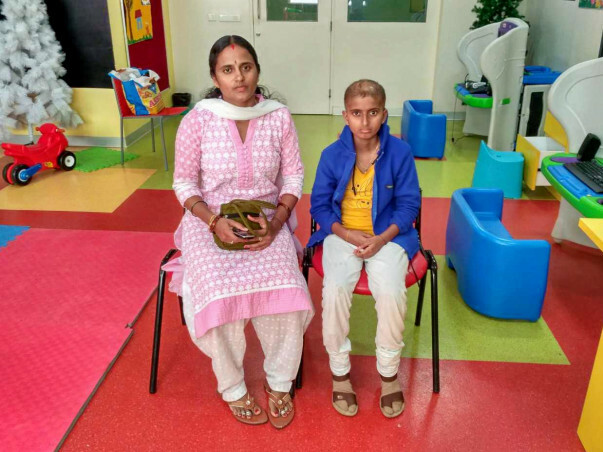 We had somehow arranged for Archana’s surgery to save her from a brain tumor but now the side effects of those treatments have hindered her growth leading to delay in puberty. In 2012 Archana was down with fever and headache, her parents took her to a local hospital, initially, it was thought to be some viral fever but her symptoms persisted. She even started vomiting as the time passed by. Her parents thought it might be some serious health issue and took her to some other hospital. An MRI report showed that she had a brain tumor. It was a sudden shock to the family. Being born in a small village near Hosur Archana’s parents had no idea what had to be done.Taking the suggestions of relatives they brought her to the city, where the doctor suggested to start the treatment immediately. 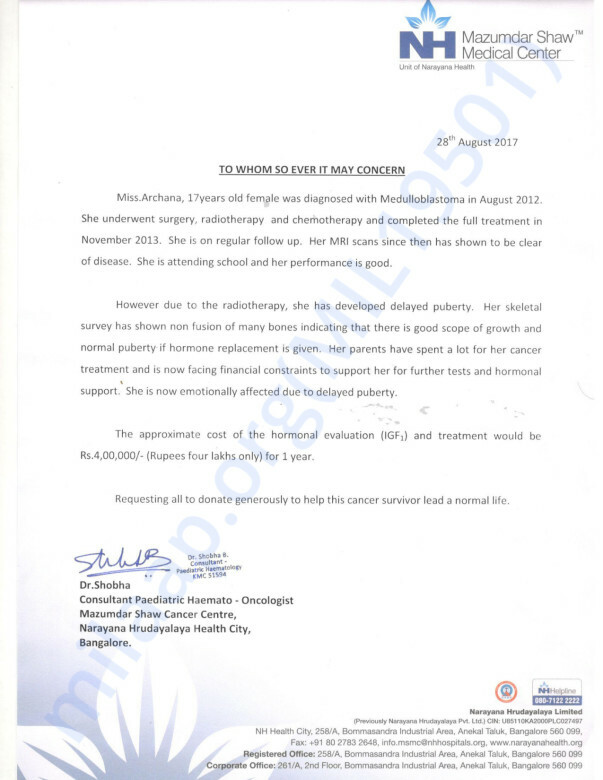 After all chemotherapy sessions, radiotherapy sessions and a very critical surgery, Archana was out of danger, she went back home to get back to normal life.She is a brilliant student with a very strong determination to fulfill the dreams of her parents. The financial condition of her family has deteriorated very drastically because of her medical expenses. Now they cannot afford her education but that did not stop her from studying. Even her school has agreed to not take fees from her so that she can continue to study. Now they need 4 lakhs to start her treatment for hormone replacement. They have sold land and gold to arrange money for her previous surgery.